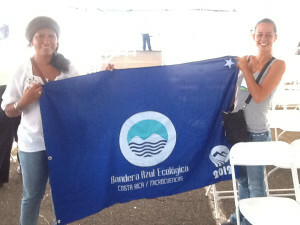 Costa Rica’s Ecological Blue Flag Program (Programa Bandera Azul Ecológica) is a national effort to incentivize the protection of water resources. Throughout the country, Blue Flag committees are forming to protect particular beaches, communities, schools or watersheds. Committees submit work plans and reports that are evaluated annually by the national Blue Flag organization, and flags are rewarded based on a committee’s work and water quality tests taken by the government. ROW formed an Ecological Blue Flag committee for the watershed in 2011, and we’ve supported the committee ever since. The group has been awarded a flag in each year; in 2014, the Nandamojo was just one of 26 watersheds in Costa Rica to win this distinction. The committee, made up of representatives from all parts of the watershed, is a vital counterpart organization of stakeholders who help ROW’s outreach and education efforts. They also assist ROW in maintaining our reforestation nursery, where saplings are grown and cared for in preparation for planting. 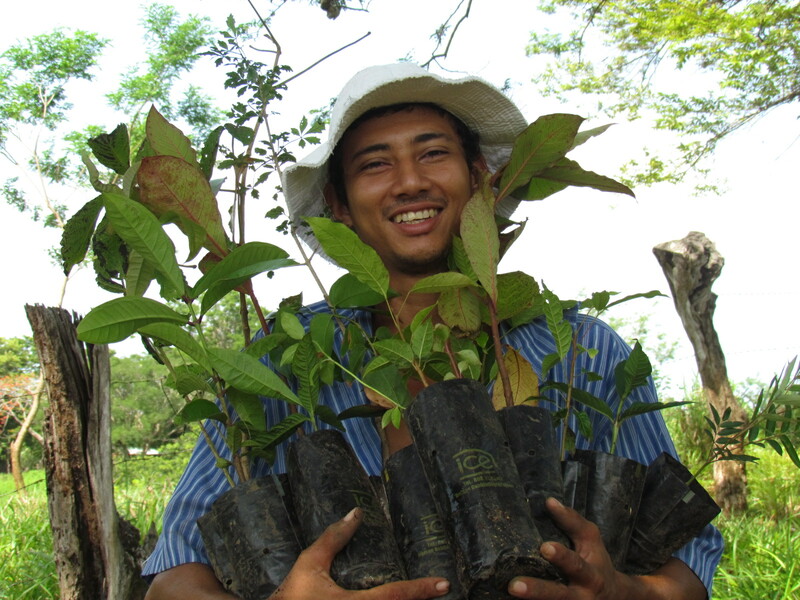 The nursery currently holds 3,000 saplings that are ready for planting during Guanacaste’s 2015 rainy season.